Aging is a natural process, you can't stop aging but can slow down the natural process of aging by eating some right kind of foods containing such vitamins that not only slow down aging process but also prevent from many age-related diseases. Anti-aging Vitamins fight against skin damaging free radicals and prevents the formation of premature fine lines and wrinkles. Furthermore, these vitamins help to maintain skin moisture and give you more radiant and youthful skin. However, to fulfill the deficiency of anti-aging vitamins, don't rely on their vitamin supplements, instead go with their natural sources and try to consume foods rich in anti-aging vitamins. 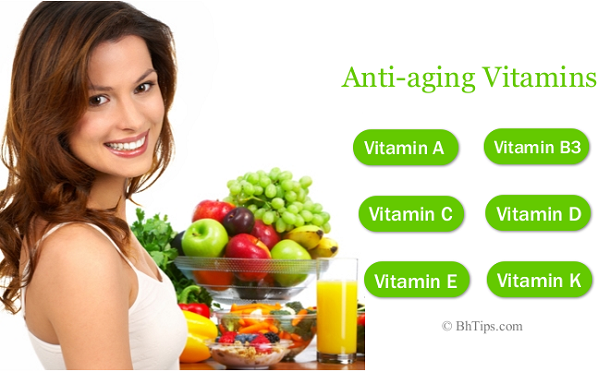 Here we have we have a collection of best anti-aging vitamins with natural sources. Retinol is a source of ready-to-use Vitamin A. Being an antioxidant it helps in neutralization of the damaging effects of oxidation caused by free radicals. Oxidation caused by free radicals is believed to be a primary cause of age-related degeneration and disease. Sweet Potatoes, Carrots,Red Pepper, Cayenne, Kale, Collards, Spinach, Mustard greens are good sources of Vitamin A. Liver, milk, butter, cheese, and whole eggs are also good sources of Vitamin A.
Vitamin B3(Niacin) also plays an important role to fight against aging and help a lot to slow down aging process. Vitamin B3 helps you as you age, by increasing your skin's ability to retain moisture and prevent from premature wrinkles and fine lines. In addition to restoring moisture to your skin, niacin also acts like an exfoliant, helping your skin in sloughing off dead cells as newer cells move toward the surface. Dry skin can also be a result of niacin deficiency. 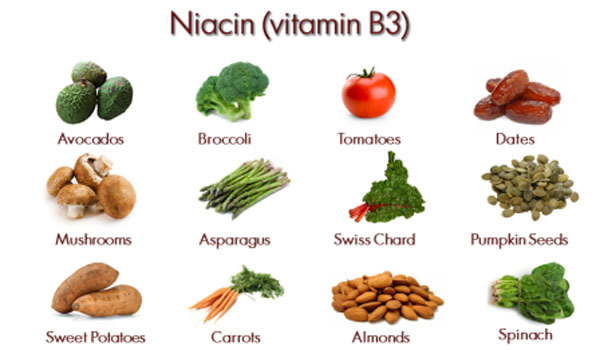 Eggs, meat, fish, nuts, legumes and potatoes are good sources of Vitamin B3(Niacin). Vitamin C is one of the most powerful antioxidants. Vitamin C prevents and protects skin against free-radical damage. 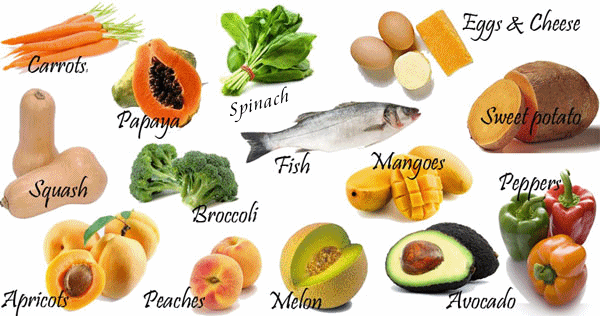 Vitamin C is a water-soluble vitamin and is needed for tissue growth, collagen formation and wound healing. It is also important for maintenance of healthy bones, teeth and gums. 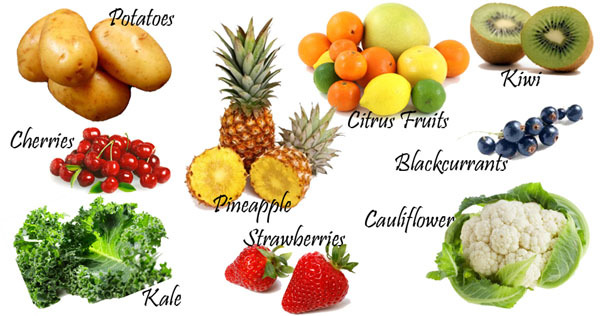 Citrus fruits like pineapples, lemons, limes, oranges, and strawberries are good sources of Vitamin C. Bell peppers (any color), Broccoli, Guava and Strawberries are also rich in Vitamin C.
Vitamin D is also an important vitamin to fight against aging. It slows down aging by building and maintaining strong bones and teeth because it controls the amounts of calcium your body absorbs and excretes. Vitamin D improves bone mineral density and help prevent and manage osteoporosis and rickets. Vitamin D also helps with proper skeletal muscle growth and development. All these factors directly influence your aging process. The flesh of fatty fish (such as salmon, tuna, and mackerel) and cod liver oils are among the best sources of Vitamin D. Milk that has been fortified with Vitamin D is a really good source because it has the added bonus of providing the body with calcium. Butter, egg yolks and full-fat dairy products are also good sources of Vitamin D. Direct exposure to sunlight is an excellent source of Vitamin D. We must expose our body to sunlight at least for 10 to 15 minutes and we must repeat this activity 3 to 4 days per week. Avoid over exposure to direct sun rays because it can cause photo-aging (sun-induced skin aging). 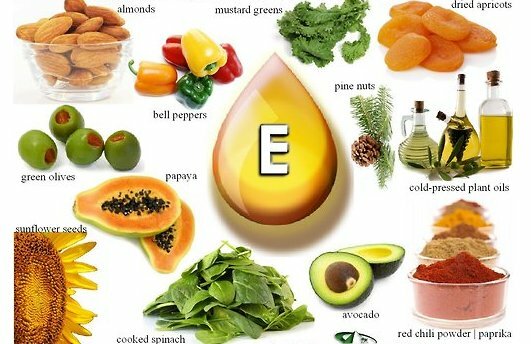 Vitamin E is a natural skin protector. This Vitamin protects your skin from free-radical and UV skin damage.Vitamin E also improves the functioning of your immune system and assists in the expression of your genes.Experts consider vitamin E to be the most important antioxidant because it protects cell membranes and prevents damages to enzymes associated with them. Sweet potatoes, Leafy greens, Vegetable oils, almonds, walnuts, hazelnuts, flax seed and sunflower seeds are good sources of Vitamin E.
Studies demonstrated that vitamin K is a powerful antioxidant. It fights free radicals in the liver and protects linoleic acid from oxidation. It may be useful in preventing liver cancer. Vitamin K strengthens bones, protects arteries, and prevents cancer and other degenerative diseases. 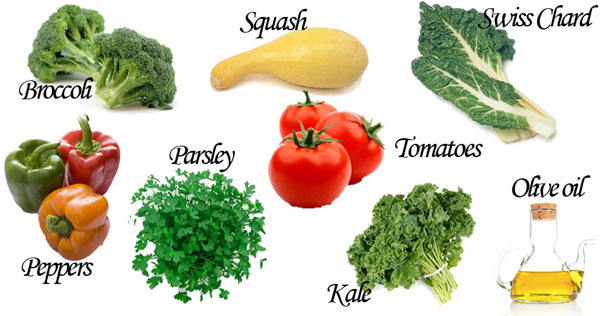 Kale, Collards, Spinach, Onions, Cucumber and Broccoli are good sources of Vitamin K.